What Determines the Length of a Liability Case? We all want justice when we feel wronged, but sometimes it’s difficult to wait for a decision. Bills pile up, the extra stress adds anxiety, and defense attorneys know that the prospect of delays can force an early settlement when you need financial compensation. Although the majority of cases reach a court settlement, there are times when you should see the case through to the end. What Goes Into a Personal Injury Case? 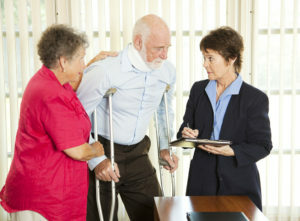 There are four things that a lawyer has to prove when filing a personal injury lawsuit. They relate to legal liability and how much the injury or death is worth. The extent of the payout is sometimes harder to gauge when the award also contains punitive damages or money awarded for pain and suffering. Living and medical expenses are easier to prove as long as you have documentation. Insurance companies and other defendants will always try to settle a case out of court. That doesn’t necessarily mean they’re admitting guilt; sometimes they would rather pay to make a case go away than take a chance with a jury. The majority of personal injury cases are settled out of court, but there are times when it’s better to see your case through to the end. The first is if a death occurred because of an accident that someone else is responsible for even if he or she isn’t criminally liable. In the second scenario, there is a large settlement at stake due to the nature of the case or extent of the injury. Third, when the extent of the injury isn’t yet known and settling to soon won’t gain enough compensation to pay for future expenses. If times get tight while you’re waiting for a settlement, there are lawsuit loans available to hold you over. Your lawyer might be able to tell you more about your options. Are Lawsuit Settlements Right for Your Family? What’s the Best Lawsuit Funding Company?